Catch the start of a compelling new television series on APTN tonight at 7 p.m. (6 p.m. in B.C.) 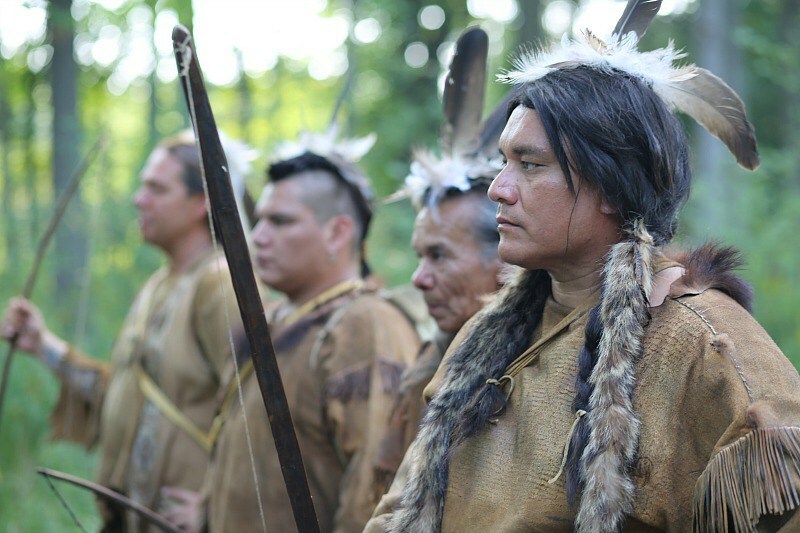 called “1491, Untold Stories of the Americas Before Columbus” is an eight-part docu-drama based on a book by Charles E. Mann, a bestseller that came out about a dozen years ago. APTN CEO Jean LaRose had read the book and optioned it and said, ‘we’re going to make a TV series based on it’,” explained Barbara Hager, a producer and director for the series. She is Métis from St. Paul, Alta. It took quite a few years to get the funding and the team together—seven years in all, she said. And tonight the network will begin to air its creation. The first episode is called “Origins”. It was decided to start right at the beginning with oral histories about how Indigenous peoples came into the world,” said Hager. “Every Nation in north and south America has their own creation story.” The episode features three of them. Then it starts to explore all the different theories of how Indigenous people came to the Americas. It also explores genetics and languages. Dr. Evan Adams, chief medical officer of the First Nations Health Authority, and former actor (Victor from Smoke Signals) is the narrator. There are eight episodes with eight themes and in each episode there is eight topics, and the geography covered is the Americas divided into eight regions. She admits the show may be a little heavily weighted on what the Maya and the Aztec have brought to the table over the history of the Indigenous world, because they accomplished a lot. But the Plains people, the people of the Pacific Northwest, the people of Amazonia, and the Haudenosaunee aren’t given short shrift in the series, as are other Indigenous peoples. One of the most fascinating stories for Hager from the series comes from Arizona, she shared with CFWE-FM’s Dustin McGladrey. The whole valley, 800 years ago, had a canal system to irrigate farm land, she said. Hager also mentions Mexico, built on a lake, where thousands of people lived on handmade islands. “You can’t even imagine how many things we discovered.” Put into five minute stories, it hardly does these achievements justice, she explains, but the series does allow an opportunity to introduce these subjects to viewers. She is excited and relieved that the series is set to air. She said there were never any stories about Indigenous peoples like this in school. APTN will be streaming each episode after it airs, so if you miss one, check out the network’s webpages.